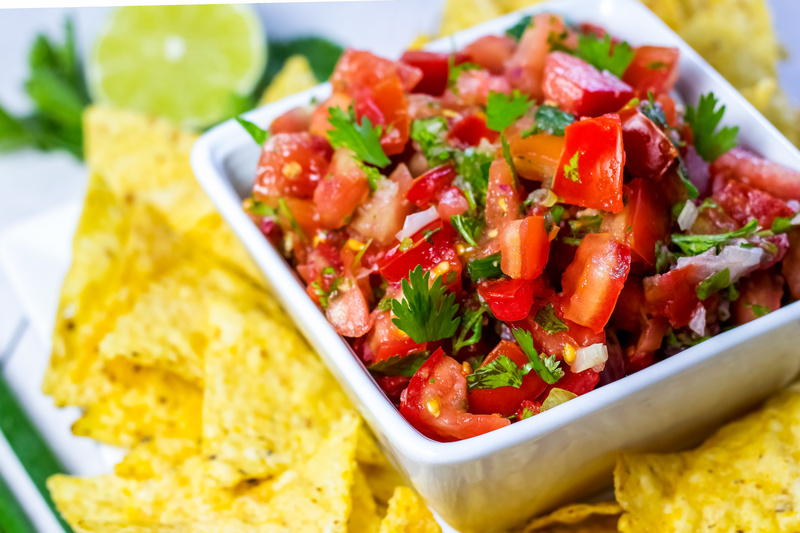 The Best Pico de Gallo (Fresh Tomato Salsa) made with fresh lime juice, tomatoes, and cilantro. A delicious, quick, and easy appetizer that’s always a hit. Serve with homemade guacamole. How is your Summer going?! Can you believe it’s already mid-July? I seriously cannot. One thing I LOVE about every Summer are the fresh, bright, and vibrant vegetables. I recently started ordering a local, organic bin. Every week, fresh Ontario vegetables are delivered to my doorstop (well to my condo concierge, ha!). I love that I am supporting local farmers AND the produce tastes absolutely amazing. Do they sell local, organic produce in grocery stores near you? I really don’t get it but even though there is an abundance of fresh produce here in the Summer, it’s almost impossible to find Ontario produce in local grocery stores. And there’s nothing really like organic Ontario strawberries or ripe, red tomatoes (that were not picked weeks before they are even ripe). 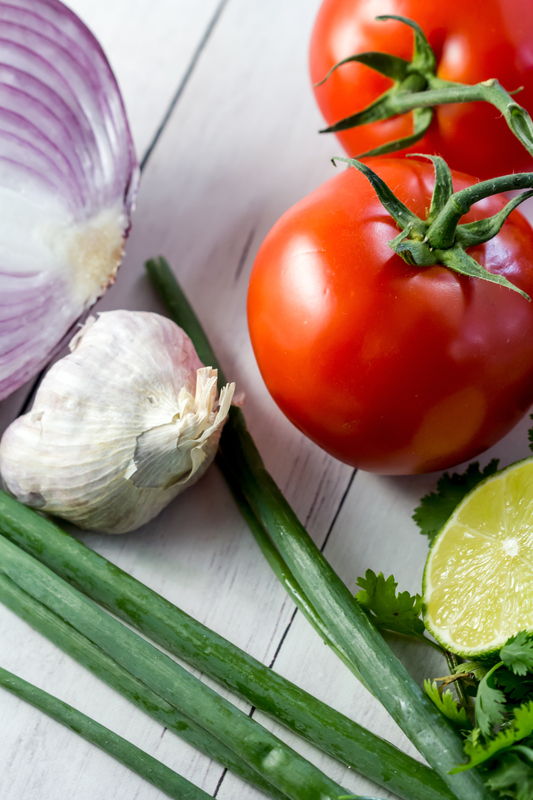 When I got beautiful, bright tomatoes and fragrant cilantro in my box this week, I knew I had to make Homemade Pico De Gallo to share with you. This really is the Best Pico De Gallo. 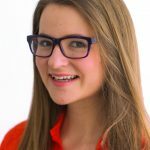 I have two *secrets* for making my favorite (naturally vegan!) Pico de Gallo. In a food processor, process the onions, garlic, jalapeno, lime, and lemon juice together into a puree. The puree tossed with the tomatoes, green onion, and cilantro really helps the flavors to burst and is abolute perfection on a tortilla chip. 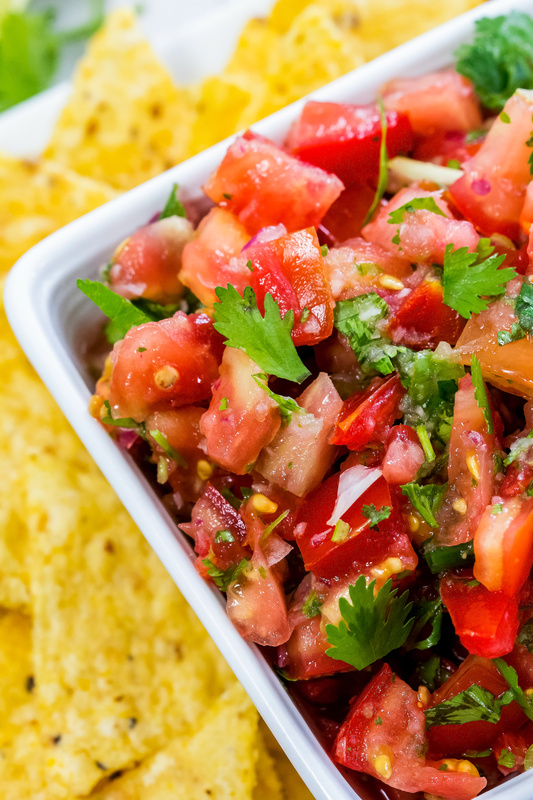 Marinate your Pico de Gallo in the fridge for at least 30 minutes before eating. This brings all the flavors together. 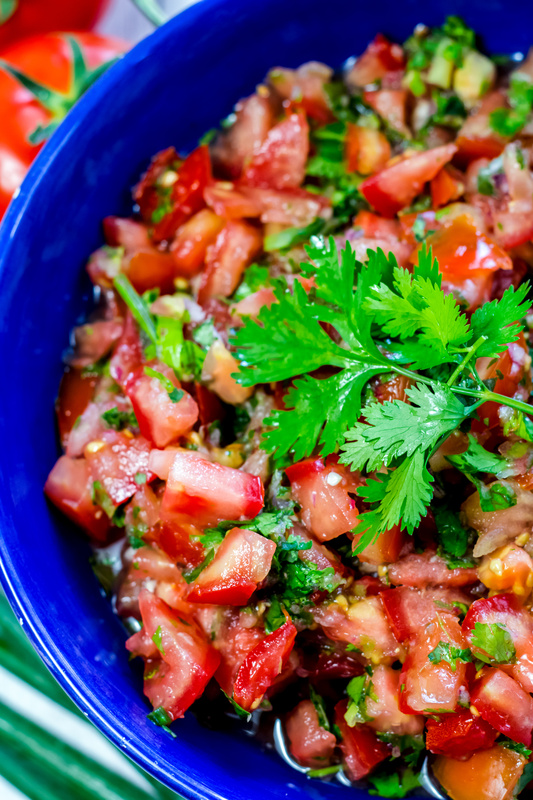 The Best Pico de Gallo (Fresh Tomato Salsa) made with fresh lime juice, tomatoes, and cilantro. A delicious, quick, and easy appetizer that’s always a hit. Serve with homemade [url href=”https://www.cearaskitchen.com/my-favorite-perfect-guacamole-vegan/” target=”_blank”]guacamole[/url]. Add the chopped tomatoes, green onions and cilantro to a large bowl. Toss. In a food processor, process the red onion, garlic, and jalapeno (optional), lime juice and lemon juice until pureed. [i]Note[/i]: Alternatively, you can finely chop the onion, garlic, and jalapeno but I find that processing the onions, garlic, and jalepeno with the lime and lemon juice helps to combine the flavors better. Add the pureed onion mixture to the large bowl. Add sea salt. Toss with the tomatoes until evenly distributed. Cover and refrigerate for 30 minutes. Enjoy with tortilla chips, in a burrito, or with salad! 1) Remove the jalapeno seeds if you want your salsa to be less spicy.